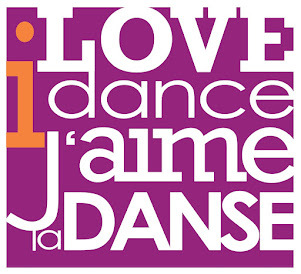 Simcoe Contemporary Dancers: Catch us over Culture Days! Catch us over Culture Days! We hope to see you out and about over Culture Days! 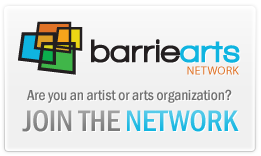 There is so much happening in and around Barrie. You don't need to commute an hour down the 400 to experience amazing, world class arts and culture ... it's right here! We are excited to be Stop #1 on the "Living Culture Trail" in Innisfil at the Innisfil Public Library's Cookstown Branch. Get ready for a fun, interactive, dance presentation for the whole family. Sarah Lochhead will be performing an intricate dance solo entitled "4x4 at 4" in the changeroom at Awkward Stage - influenced by the poem "converse" by damian lopes ... as you may have guessed from the title it's at 4am. We will be performing a sunrise inspired dance at 7:00am to mark the end of Barrie's all night art event. We will be dancing to the musical stylings of Alec Dunlop. 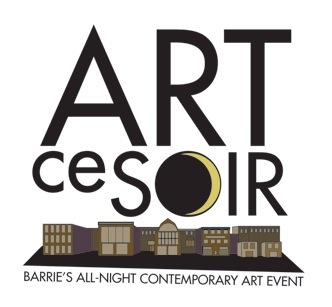 Lakeshore Mews invites you to participate in Barrie's first all-night contemporary art event! On Saturday October 1, 2011 at 7pm, Lakeshore Mews will be transformed into a Nuit Blanche inspired night long art and culture fest. Featuring site specific installations, dance performance, literary presentations, film and music plus fun activities in and around the studios of Lakeshore Mews. Come and see how we train and watch our latest pieces of rep as works in progress and offer your feedback!